Our award winning captains aboard the Charterboat Linda D in Key West, guarantee you a great fishing day! Call 800â€“299â€“9798 now to book an unforgettable fishing trip! Fishing is a family tradition for the Wickers. Capt. Bill Wickers Jr. established the LINDA D. over 35 years ago and followed in his grandfather's and father's footsteps. Now his son, Billy is a 4th generation Captain. Our family continues to provide the best fishing available in Key West. Read more about our history. Our Charter Boats are First class, from bow to stern Enjoy the Fishing Adventure of your life on Key West's Finest Charter Fishing Boats! 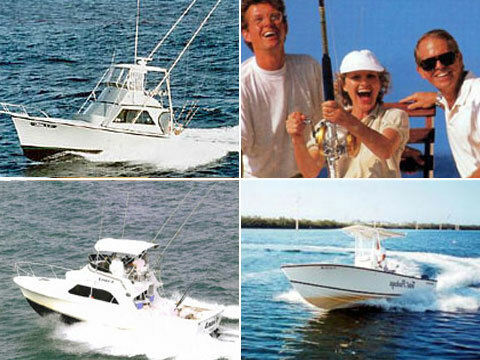 Our award winning captains aboard the Charterboat Linda D in Key West, guarantee you a great fishing day! Call 800â€“299â€“9798 now to book an unforgettable fishing trip! Fishing is a family tradition for the Wickers. Capt. Bill Wickers Jr. established the LINDA D. over 35 years ago and followed in his grandfather's and father's footsteps. Now his son, Billy is a 4th generation Captain. Our family continues to provide the best fishing available in Key West. Read more about our history. Our Charter Boats are First class, from bow to stern. "Linda D IV" 40' Offshore Twin Engine Diesel Sport Fishing Boat "Linda D V" 40' Offshore Twin Engine Diesel Air Conditioned Sport Fishing Boat "Total Package" Light Tackle Sportfishing Boat The Linda D has been host to Florida State Governor Jeb Bush, Curt Gowdy of American Sportsman fame, PM Magazine, and most recently to the Nashville Network's Celebrity Outdoors, starring Roger Miller and Lee Greenwood. We've been featured in numerous films and documentaries.